William Lewis Van Horn, Jr. “Billy” has always dreamed of having a Radio Talk Show since the age of 6 when his older brother, Eric, got a “Build Your Own AM Radio Transmitter Kit” for Christmas, many years ago. With Billy’s Initials being WLVH, That was the call letter of their Tiny Toy but functioning Radio Station. He and his brothers would record their shows on an old reel-to-reel tape recorder and then go to Grandma’s House and listen to themselves on the Radio. In 1974-75 School Year, Billy as a Junior in High School started his own Printing Business and quickly expanded it to Printing, Office Supply, Advertising and Marketing Business which he owned and operated for nearly 40 years. He also owned a Security And Fire Equipment Business, The S.A.F.E. Company. Billy also built and maintained 17 different Christian Bookstore and Witnessing websites. Billy usually had a second job, either in management as a 2nd or 3rd shift manager or supervisor for several different large companies and he also worked with MH/MR, TBI, Psychotic, Autistic, Downs Syndrome and Bi-Polar Clients for 14 ½ years. Billy also worked at a Drug & Alcohol Rehabilitation Center for 5 ½ years. It has always been Billy’s desire to help others and to help other’s businesses grow. Billy is a Strong Christian, True Conservative Patriot, who desires to Save Our Beloved America from Tyranny, Socialism and Communism and Spread The Good News Of Jesus Christ. Billy is also a Certified Layman Pastor. Billy is also a Singer/Song Writer, Composer, Arranger, Lyricist, Poet and has set up a Small In-Home Recording Studio. He is also an author currently writing a book, “When God Speaks…” and has written a Series of Children’s Books, Poems And Lyrics. 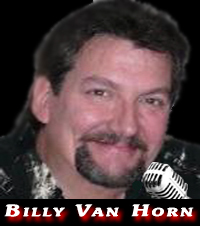 Finally, at age 57, Billy is realizing his life-long childhood dream and has a Radio Talk Show, “The Billy Van Horn Show” on several different radio networks and now owns his own Radio Station, Freedom In America Radio Network. The post See special counsel Mueller's report for yourself appeared first on WND.